The Kriaritsi is 6.5 km long beach. 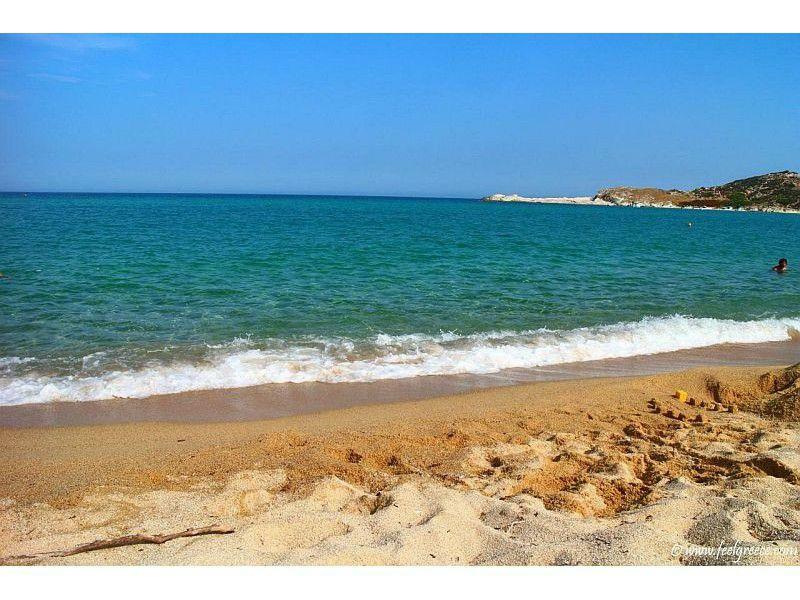 in total if you calculate and small beaches that exist in the line, which is known as Tigania The sand has golden color and no glue on the body, the water has a blue-green color and is crystal clear . Opposite are small islands called Skepes, Ahinoi and Petalida. The access is a bit difficult because you have to follow a way through a labyrinthine maze of roads, but there are signs and markings on the road to guide you to the beach. 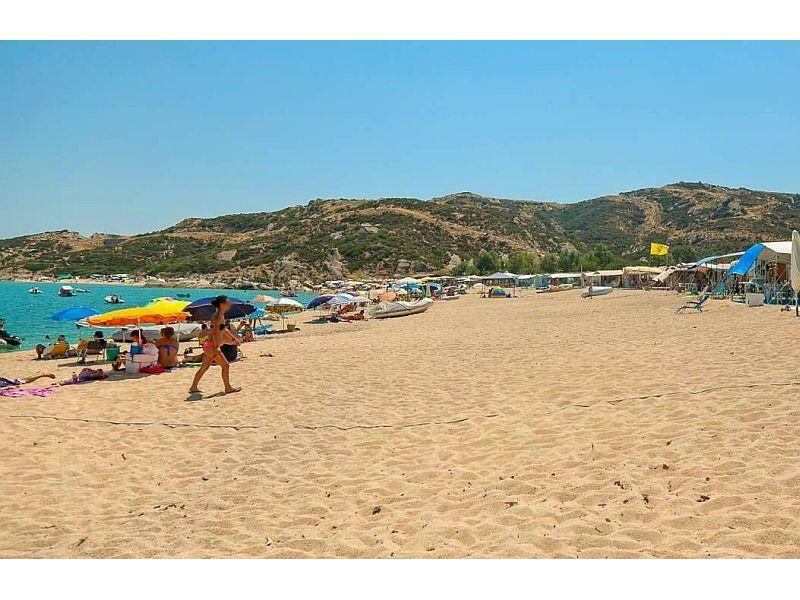 There are three beach bar with umbrellas and sunbeds and two taverns. 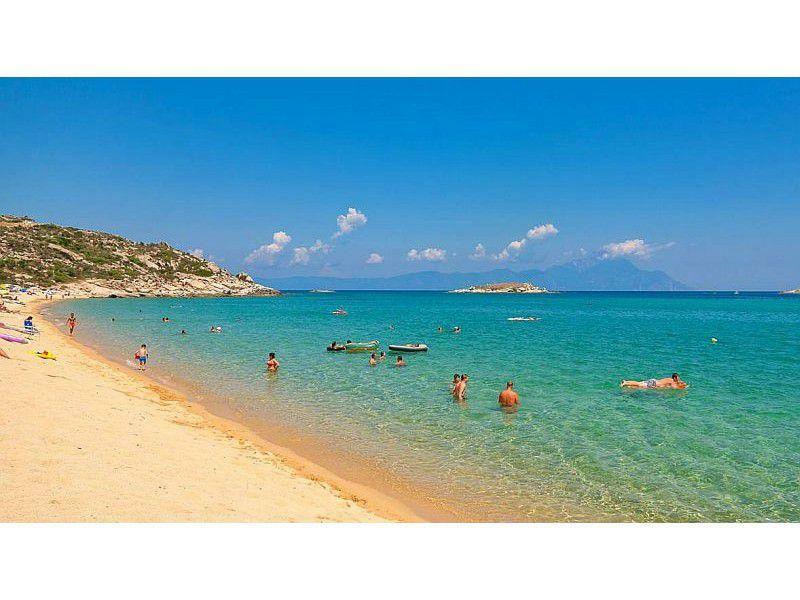 The Kriaritsi coast is one of the most beautiful areas of Sithonia worth a closer look and try the clear waters.